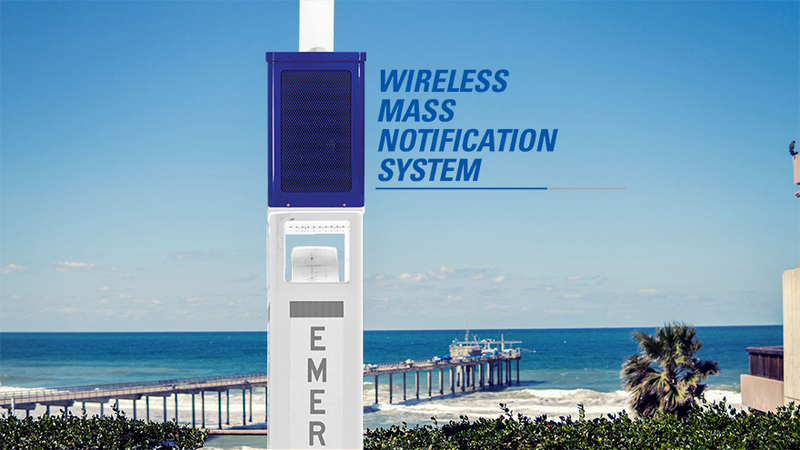 One of the most innovative upgrades available on select CASE Emergency Systems products is Mass Notification – which gives your designated operators the ability to broadcast messages using CASE equipment as a public address system. But that’s only the beginning of what Mass Notification from CASE makes possible…. Our systems can be 100% wireless – allowing broadcasts even in remote areas. Integrates seamlessly with mass notification services such as Code Red, Alertus, Mir3, Rave, and others. Speaker is clear, loud, and does not require additional equipment or licensing fees to operate. Announcements for mass notification can be pre-recorded and saved in each client’s digital CASE Alert profile for quick one-touch activation in the event of an emergency. Operators can also select the frequency of message to repeat or loop, should emergency personnel need to be evacuated or relocated. Operators may also broadcast live for events that occur with no advance planning or warning. And – a CASE Emergency Systems Exclusive Benefit: Emergency broadcasts can be made to only specific towers/e-phones instead of system-wide. Customize your notifications as needed per event. Parking lot B is closed due to safety reasons. Please proceed to the guard gate for additional assistance. Tornado watch is in effect. Please take cover in marked shelters. This is an emergency evacuation. Please leave this area immediately and follow the marked evacuation route. An active shooter has been reported in this area. Please lock and secure all doorways or take cover. Police are on the scene. Do not attempt to intervene. Alert – Chemical spill. Alert – Chemical Spill. Please exit the building and report to the health center for evaluation. However, the most important aspect of the Mass Notification feature is the ability to customize it to suit your needs, because you never know what will be most helpful – just in case the unexpected should occur.